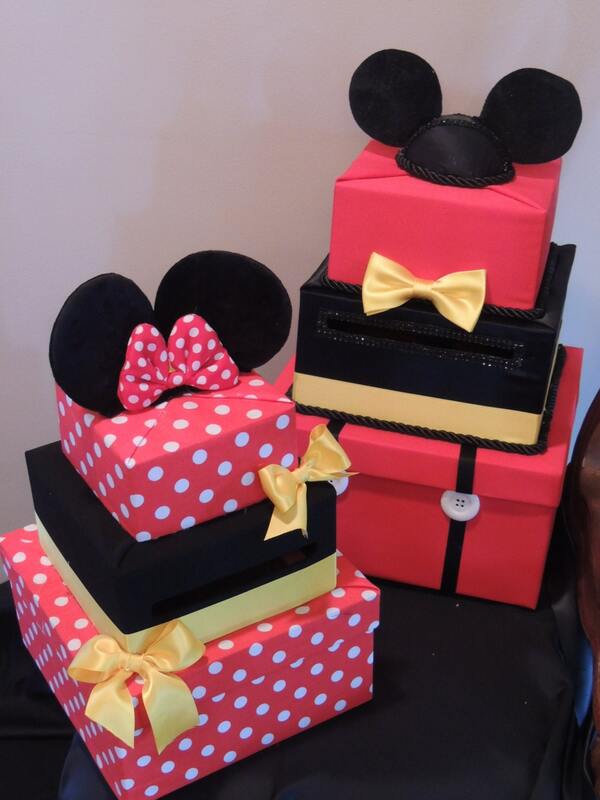 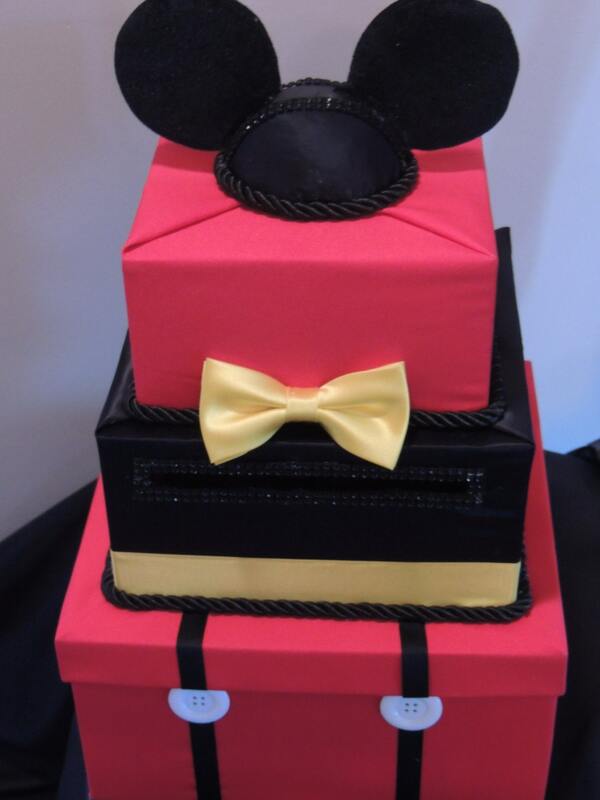 Three Tier Mickey Mouse Card Box, perfect for Miickey or Disney Themed Birthday Parties and Events!!! 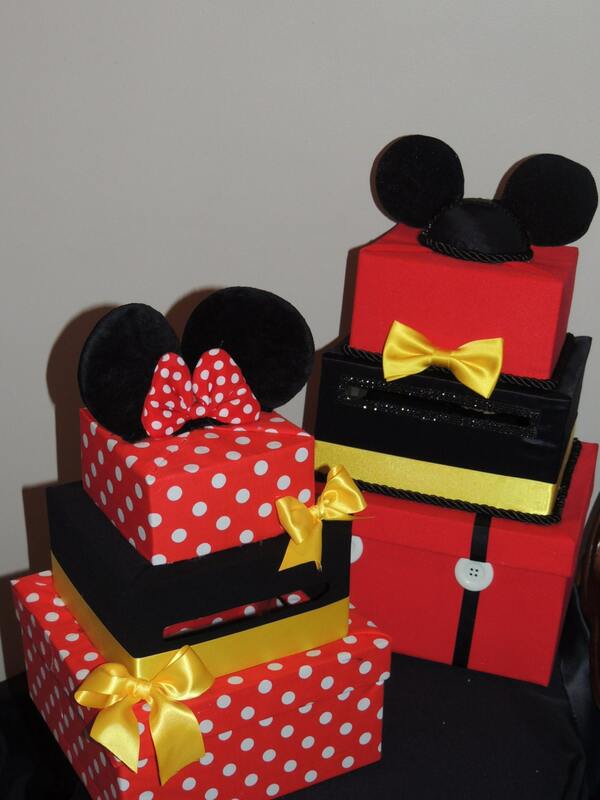 also available in our shop in Minnie! 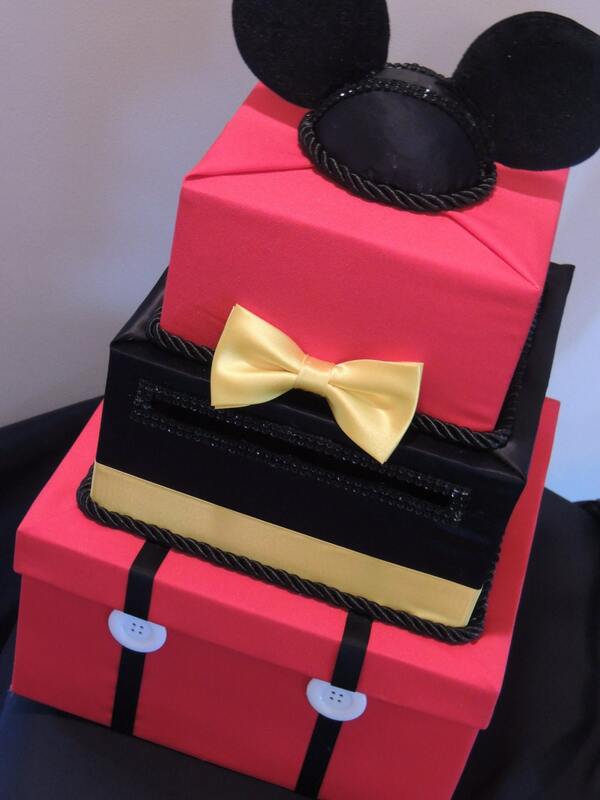 Please visit our website to view our other Disney inspired items! 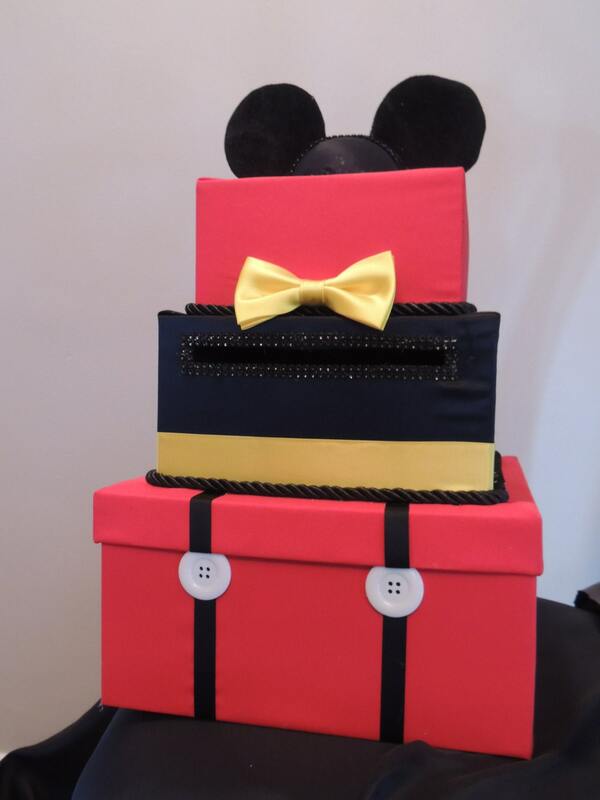 Standard Box Comes with Satin Ribbon, Suspender and bowtie accents, with Miickey Mouse Ears as Top Embellishment!